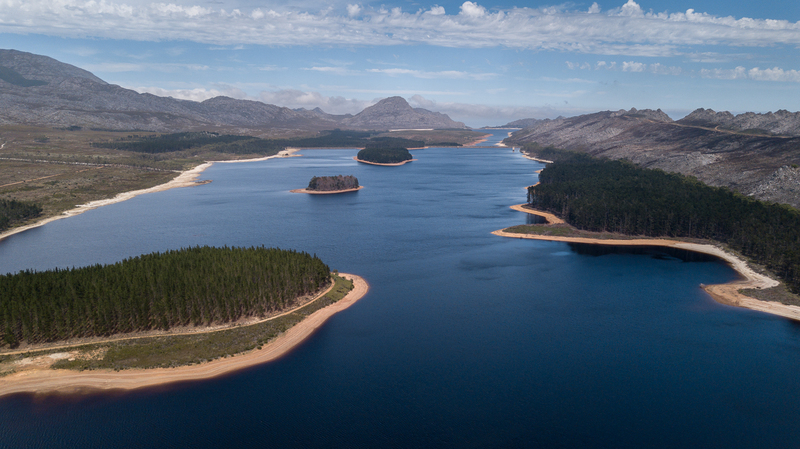 Good news for the drought-stricken Western Cape came in the form of a dramatic increase in the province’s dam levels. And that’s not all. The South African Weather Service has predicted more wet weather in the weeks ahead – raising hopes that the drought that has devastated Western Cape for the past two years will finally come to an end. “Levels at the Theewaterskloof Dam which feeds Cape Town, have almost doubled to an astounding 38.5% compared to 18% a year ago. However, despite the good rains, the department will only review the current water restrictions when the dam levels have reached 85% capacity,” department spokesperson Sputnik Ratau said in a statement. According to Ratau, the Cape Town Dams System – six dams serving the Cape Town metro – has increased from 48.3% to 53.0%. The system was at 24.7% at the same time last year. “The report paints a stable picture of average national dam levels as they were recorded at 79.3%, the same figure as last week. “Comparatively, the average national picture suggests an improved water situation in the country compared to 70.5% in 2017. If every South African continues heeding the call to save water and use it sparingly, the situation holds a bright future for the country,” Ratau added.